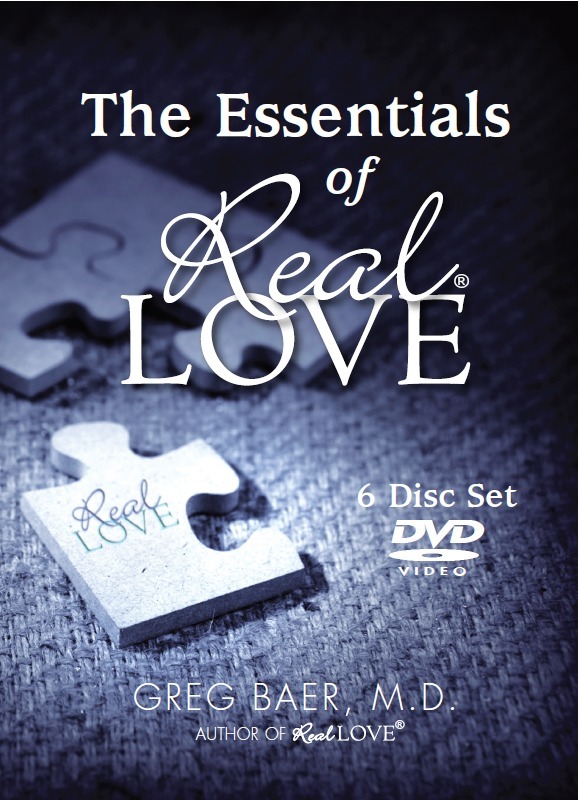 The Essentials of Real Love - DVDs, by Greg Baer M.D. This is the centerpiece of your Real Love education! In six hours of video, you’ll see and feel the power of Real Love as Greg presents the essential principles of Real Love to a live audience. This engaging and humorous presentation has changed the lives of hundreds of thousands of people around the world. Add The Essentials of Real Love Workbook or Bible Workbook to help you apply the Real Love principles in your daily life.